Exclusive Interview: "I absolutely love being my own boss and working for myself!" Gurdeep Kaur wanted an opportunity to run her own business, working for herself. When her role as Project Lead on an NHS project came to an end Gurdeep decided it was the right time to take control of her work future. 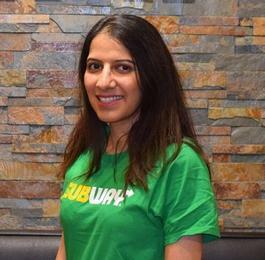 Learn how a Subway franchise is the perfect fit for Gurdeep, providing her with the chance to be her own boss! Franchising with Subway showcased on The One Show! Subway is pleased to announce it will appear on BBC One’s The One Show for a special mini-series on franchising. The first Subway® store was opened in 1965 by Fred DeLuca and Dr Peter Buck. It was the first of over 43,000 store locations in more than 110 countries. Today, in the UK and Ireland alone, there are more than 2,500 locations. Subway® is the Number One Quick Service Restaurant (QSR) brand worldwide by total store count, as at January 2018. The first Subway® in the UK store opened in 1996. 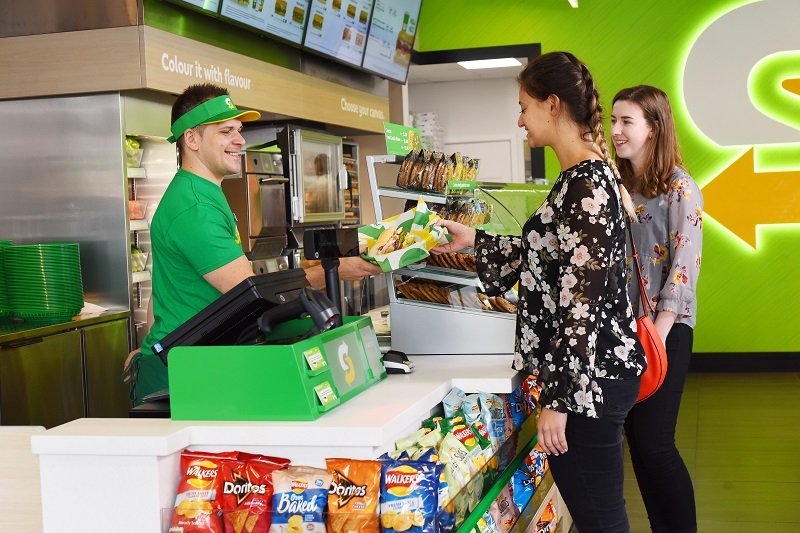 Since then Subway® has grown at an exceptional rate and continues to expand – we are actively seeking new franchise owners to become part of our success story. Subway® franchise owners benefit from operating in a tried and tested system with great training and a solid support structure with aspects such as site selection, leasing, purchasing, marketing and more. Subway® is committed to making a positive impact in everything it does – from providing great tasting food choices, to reducing its carbon footprint and creating a positive influence in the communities it serves around the world. It is the franchise owner’s responsibility to find the location of the franchise; however Subway® Business Development Agents and Subway Realty Limited are on hand to help. 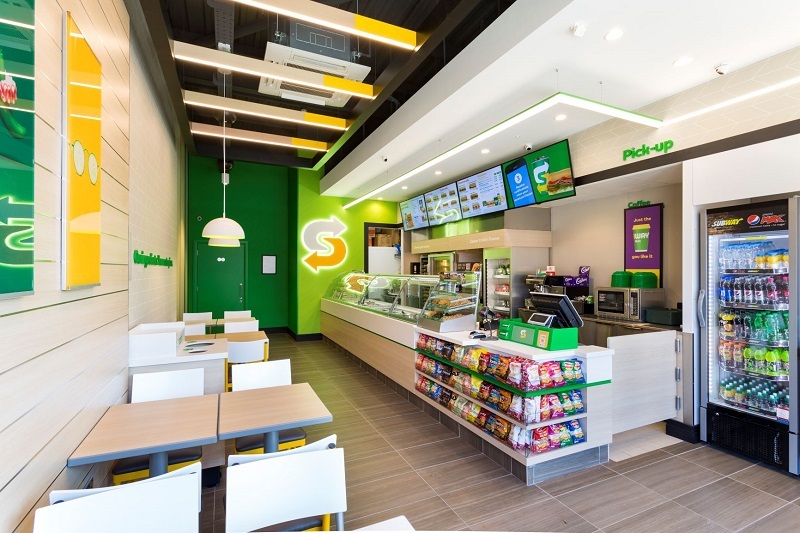 The décor of a Subway® store is in-keeping with the brand’s values, ensuring the stores are inviting and comfortable for guests. The décor integrates natural building materials, comfortable furniture and careful lighting to create a warm, inviting, family environment. As a franchise owner, you will receive assistance with your store design and equipment ordering. Subway® Sandwich Artists™ use a variety of breads freshly baked in-store daily, and an array of meats, cheeses, salads, vegetables and sauces to create tasty made-to-order Subs, flatbreads and salads. With a focus on making quality, delicious Subs and offering customers real choice, the Subway® brand has built up a vast and loyal customer base. All new Subway® franchise owners are required to attend a two-week training course in Cambridge ahead of opening their own stores. This intensive training programme provides you with an overview of operating a Subway® store and running a business, including classroom and in-store sessions. On completion of the training, franchise owners are well-equipped to take the next steps in opening their own store. Similar training programmes are available for Subway® store managers as well. The aim of our marketing campaigns is to drive profitable sales for Subway® franchise owners. Subway® franchise owners in the UK and Ireland actively participate in the running of the Franchisee Advertising Fund (FAF). National and regional advertising boards, consisting of franchise owners, are elected each year; it is their role to make marketing decisions and ensure funds are used to benefit all franchise owners. Subway® franchise owners pay a 4.5% advertising fee to the Franchisee Advertising Fund. Subway® Support Centre prides itself on offering an excellent support network for all franchise owners. Subway® Support Centre in the UK and Ireland is based in Cambridge, offering a local team of support team members focused on operations, R&D, leasing, customer service, training and franchise owners services. Across the UK and Ireland we have a network of 20 Business Development Agents that are on hand to offer advice, support and guidance throughout the process of becoming a franchise owner. Your local Business Development Agent also provides continued support and mentoring once you have opened a Subway® store. Passionate about franchise product/service - knowing your franchise, the market and its competitors? Possess business acumen and awareness? Professional in outlook and appearance?